Our Regional family gathered at Centralia Faith Tabernacle for The Ascent on Sunday, April 7 to worship, pray and intercede for our nation. This is the second post in a series called, Restoring the Foundation, that is unpacking the direction and revelation that came from our time together. After this word was released, there was an immediate response. Check out the sound clip below. 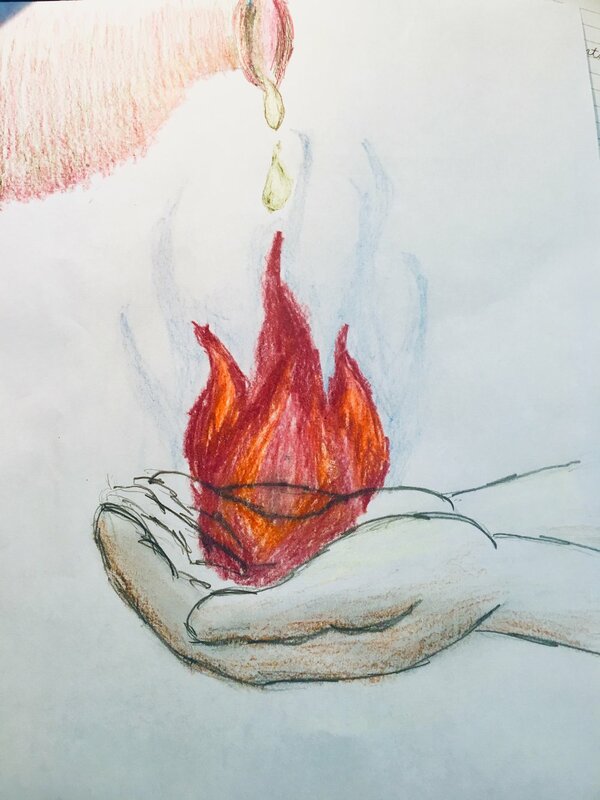 The theme of flames and oil continued throughout the evening as children’s crafts, pictures, words and scriptures confirmed that the Lord was releasing a flame that could not be put out. One of the words was about a blue flame that we discovered represented the habitation of the Holy Spirit inside our human spirit, which announced that it would not be by man’s might or man’s power but by the Spirit of the Lord. Ask the Lord to release the anointing oil that He has for you in this season, for such a time as this. Let Him reveal anything about it that is specific to you. Decree that the oil is going to flow in order to align you to the dream and destiny that God has for you. Ask Holy Spirit where there are old structures in your life that are inhibiting you from moving forward. Decree that the old structures are coming down in this nation and we will receive the freedom - the transparency - that the Lord is delivering to us. Decree that the oil is going to flow in order to align our nation with the dream and destiny that God has for it. Let the oil flow! Decree that the oil ignites the hearts of the church across Canada.